An interesting question because New Mexico is ranked the #1 worst place to practice medicine by a 2016 Medscape survey. Given that the local sponsors were the University of New Mexico Health Science Center (UNM-HSC) and Presbyterian Healthcare Services I was pleasantly surprised that I had been selected to speak. 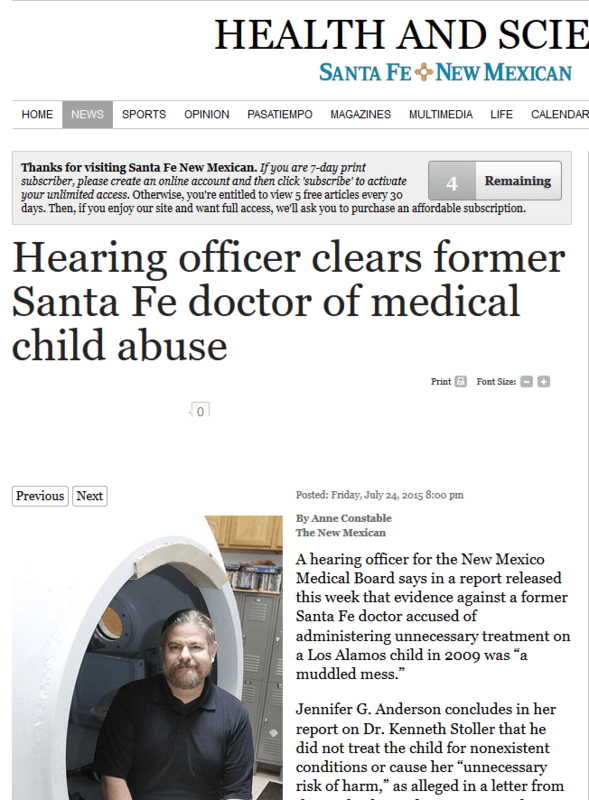 Just below is the headline from the Santa Fe New Mexican afterI was cleared of medical child abuse. Yes, you read correctly, with no evidence other than the prevarications of a scorned child abuse “expert”, the medical board had charged me with medical child abuse, but at my hearing with all the evidence pointing to the fact this child abuse “expert” had made everything up, including the accusations against the Mom I had defended, the child abuse expert recanted her entire complaint. No it is not and so this is clearly a human rights violation. 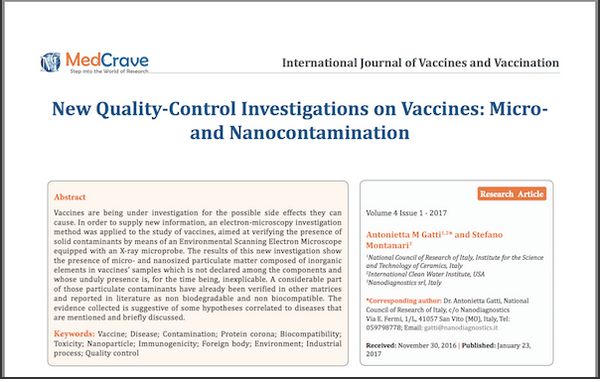 The vaccine isn’t even necessary – the drug Isoprinosine wipes out HPV infectionsin a couple of weeks. It is also unlikely that women, children don’t get cervical cancer, who have adequate Vitamin D levels would even get cervical cancer, but passing out Vitamin D does not make vested interests large amounts of money. Oh, and what happened to the little girl and her mother who was falsely accused? The child was returned to the family after a few months, the mother was found to be free of any mental illness, and certainly did not have Munchhausen Syndrome by Proxy. 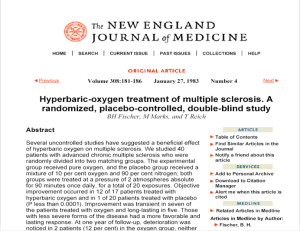 Enter the drug baclofen, an off-patent muscle relaxant that costs but a few pennies to buy and has been around for more than half a century. The discovery that baclofen helps alcoholism as well as other addictions, such as nicotine, opioids and cocaine, is not public knowledge and does not get translated into clinical practice because there is no money in the cure.